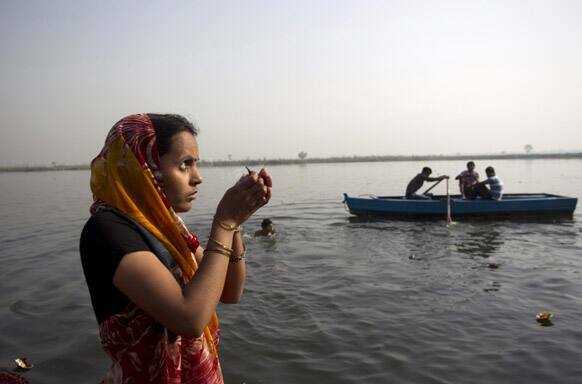 A Hindu devotee prays near the River Yamuna during the Shivaratri festival in New Delhi. 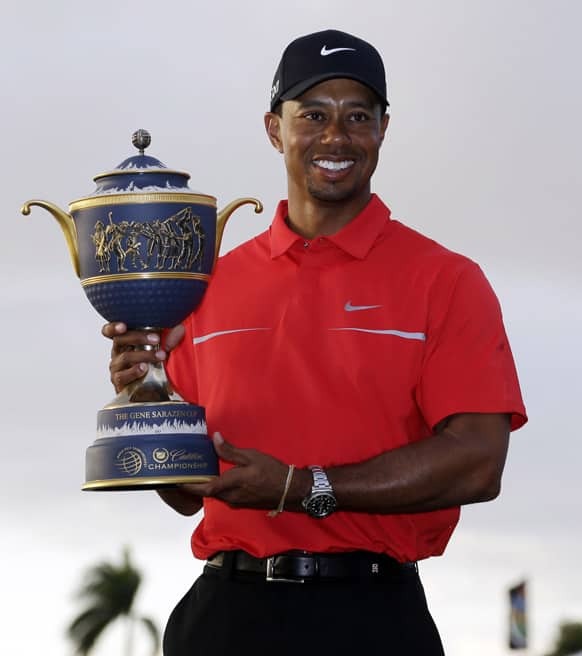 Tiger Woods holds the Gene Sarazen Cup for winning the Cadillac Championship golf tournament in Doral, Fla.
Pakistani Christians gather during a demonstration in Lahore, Pakistan. 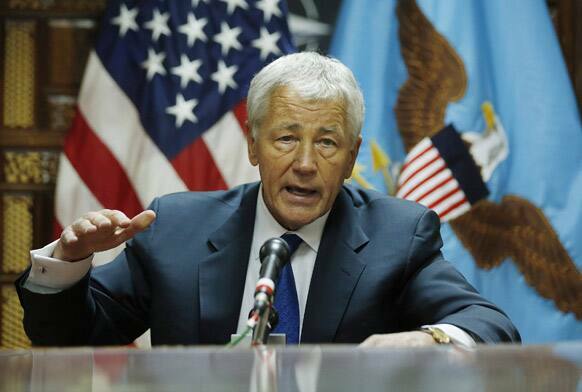 US Secretary of Defense Chuck Hagel speaks to the press following his meeting with Afghanistan`s President Hamid Karzai in Kabul, Afghanistan. 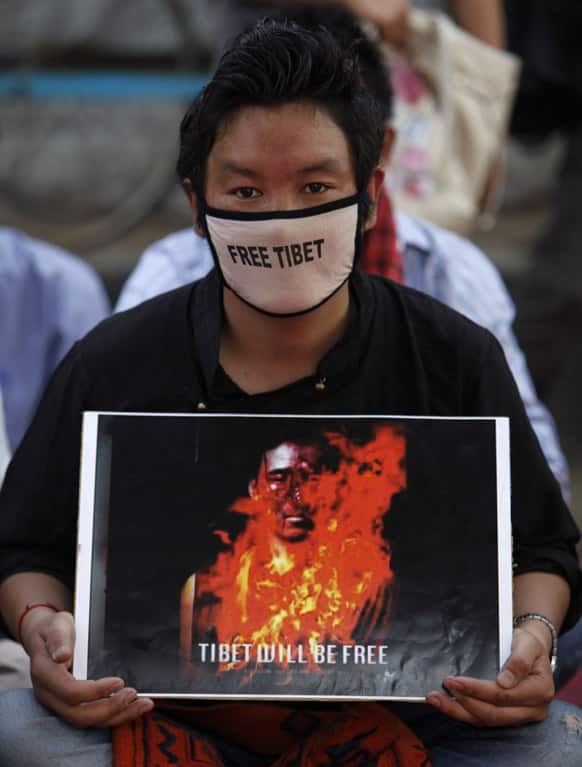 An exile Tibetan holds a poster during a sit-in protest in Hyderabad, India, as Tibetans mark the anniversary of a failed 1959 uprising against Chinese rule. Opposition leader Henrique Capriles gestures during a press conference in Caracas, Venezuela. 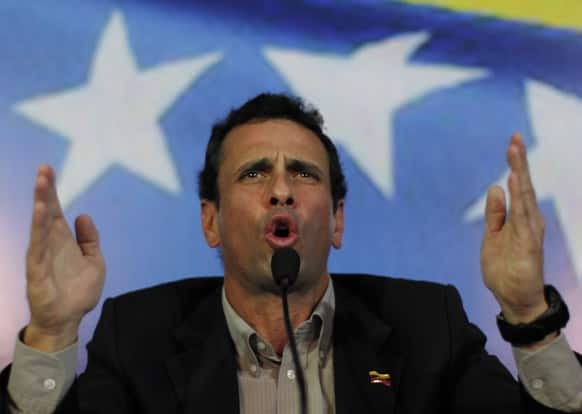 Capriles announced he will run in election, scheduled for April 14th, to replace late President Hugo Chavez, who died of cancer on March 5. Novak Djokovic, of Serbia, celebrates after winning a game over Fabio Fognini, of Italy, during their match at the BNP Paribas Open tennis tournament. 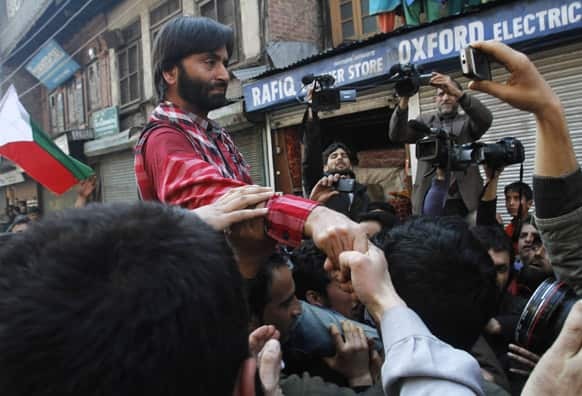 Jammu Kashmir Liberation Front Chairman Yasin Malik shakes hand with his supporters as he arrives in Srinagar, India. 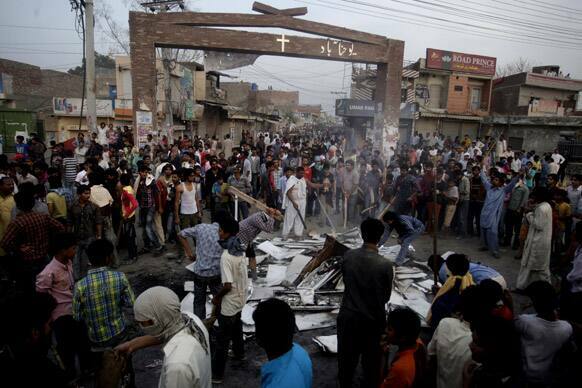 Malik who returned from Pakistan was put under house arrest Sunday. 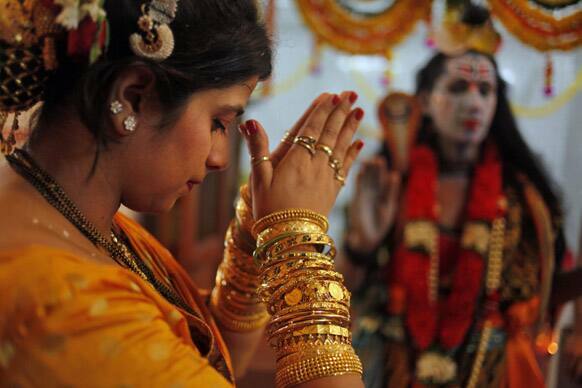 Artist offers prayers to a man dressed as Hindu Lord Shiva during the Mahashivratri festival celebrations at Chicklim village, Mapusa in north Goa. 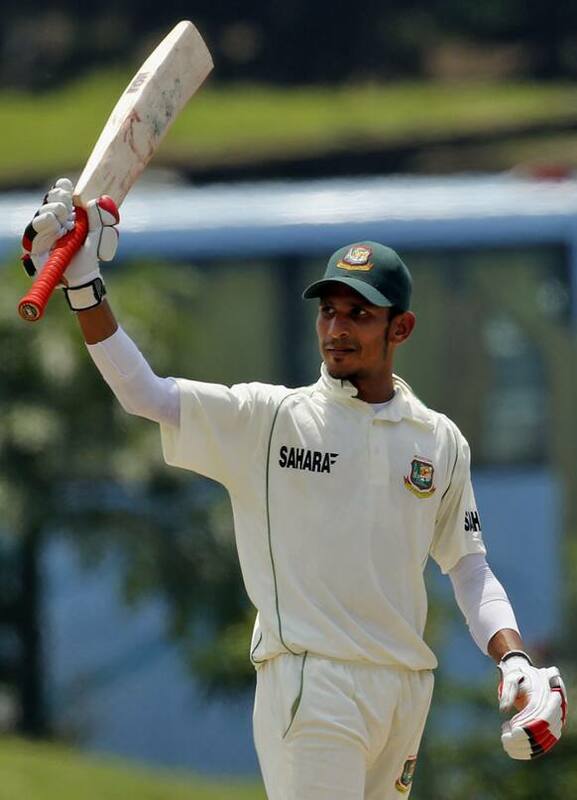 Bangladesh`s Nasir Hossain celebrates scoring a half century during the fourth day of the first cricket test match against Sri Lanka in Galle, Sri Lanka. 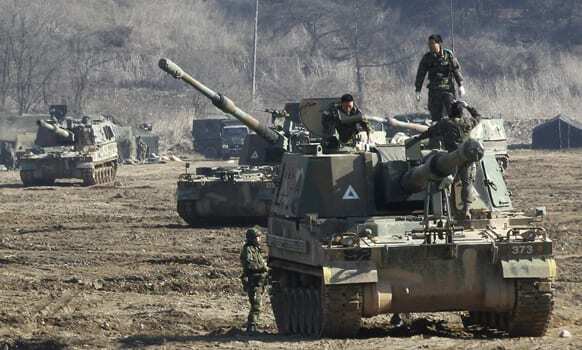 South Korean Army soldiers work on their K-9 self-propelled artillery vehicle during an exercise against possible attacks by North Korea near the border village of Panmunjom in Paju, South Korea. 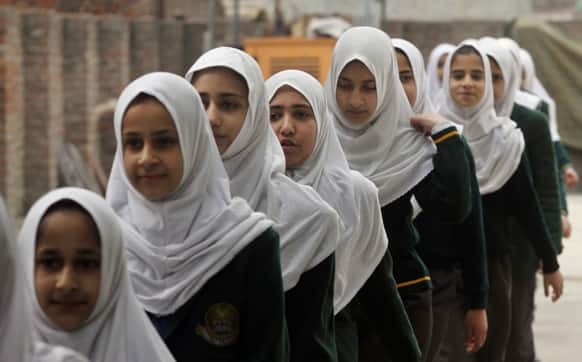 Young Kashmiri school students arrive in their school, on the outskirts of Srinagar. 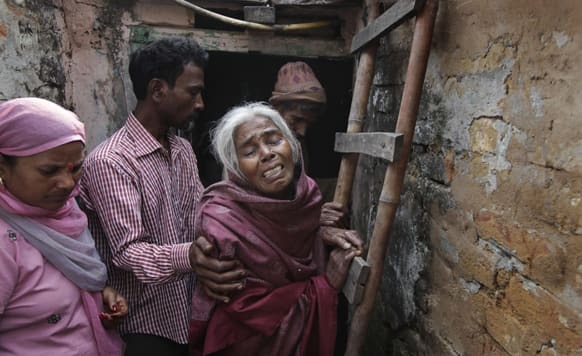 Unidentified relatives of Ram Singh, the man accused of driving the bus on which the 23-year-old student was gang raped in December 2012, walk with Singh`s mother outside the family`s home in New Delhi. An elderly Jewish man bows in front of a memorial for 7,144 Macedonian Jews, in the government tobacco warehouses in Skopje, Macedonia. 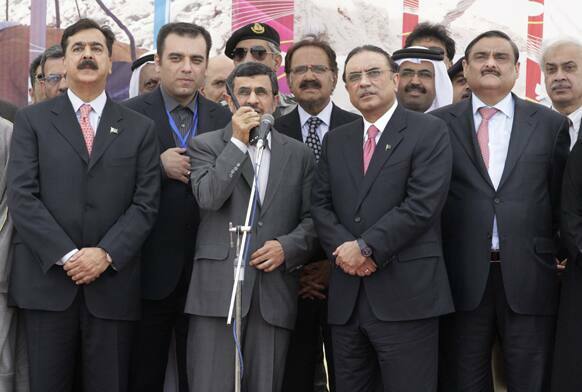 Iranian President Mahmoud Ahmadinejad, talks on a hand-held radio to order the official start of construction on a pipeline to transfer natural gas from Iran to Pakistan, as his Pakistani counterpart Asif Ali Zardari, center right, looks on, in Chabahar, southeastern Iran. 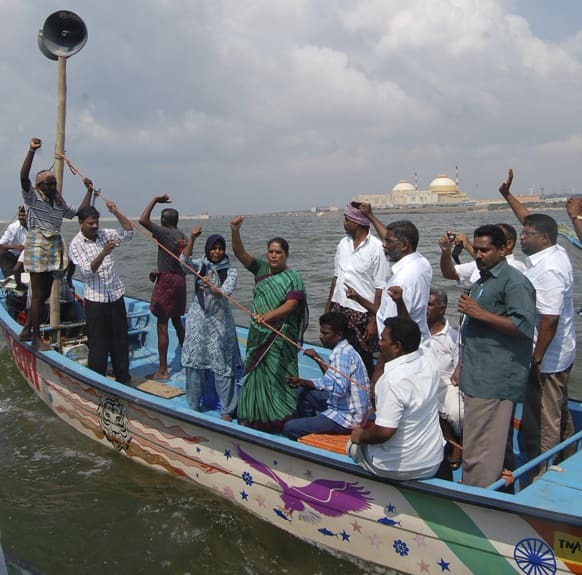 Anti nuclear protestors shout slogans from fishing boats as they protest against the Russian built Kudamkulam nuclear plant, background, on the Bay of Bengal coast, at Kudamkulam, Tamil Nadu. 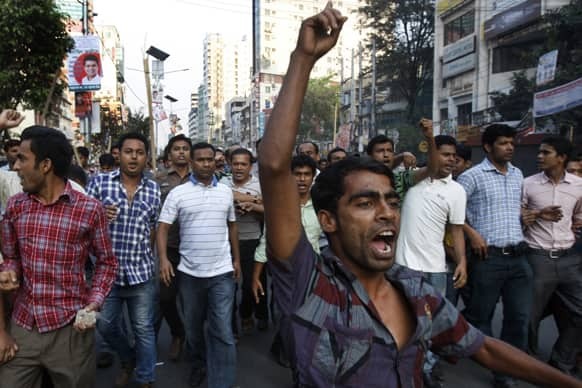 Bangladesh’s opposition activists shout slogans during their protest in Dhaka.